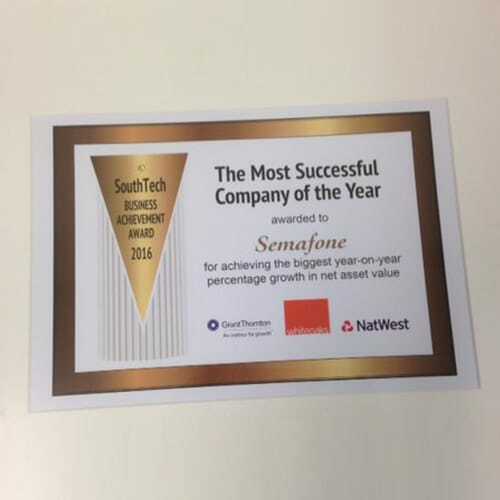 Guildford, Surrey, 29 April 2016 – Semafone® has been awarded the independent SouthTech award, supported by Grant Thornton, NatWest and the Whiteoaks Consultancy, for achieving a significant increase in business value during the past twelve months. Semafone produced the highest percentage increase in net asset value among technology companies in the South of England. The SouthTech award is based on the independent research of the accounts of every technology business in the south of England. 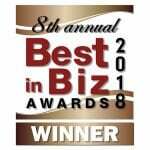 No companies are able to apply for the award.